Sometimes new music excites me, and this is one of those cases. Chosen from my emails that I get every so often, Robyn Paige completely stuns in this beautiful narration visual of a music video. She's definitely beautiful in this clip and for sure a looks like an artist. Robyn Paige plays the other woman in this emotionally beautiful music video for "Righteous". Robyn Paige is definitely making her sound heard, having managed to gain 10,000 hits on this music video alone really shows that "Righteous" has got people talking, and it's no surprise when a beautiful voice comes from this stunningly gorgeous girl. The song is about being torn between the right thing and the wrong thing but being unable to resist the wrong thing. Robyn Paige's vocals easily display the emotion of the song and really manages to hit home with it. 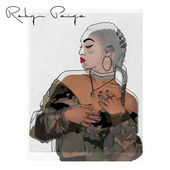 It is the official debut single from Robyn Paige, and follows on from her previous song "Say You Will". This song was written by Robyn Paige, Johnson Orchid, and Corazon Baguma. This music video was directed by Olan Collardy, and features Robyn Paige as the other woman. It's quite loving throughout, and it's clear from the start that something is up when she doesn't even move from her position in the bed whilst he reaches for his phone. It's a great visual narration, showing how their relationship has unfolded previously and how they built it. Until, three quarters of the way through, the entire music stops as we watch another girl strut her stuff across a car park and enters his car. We learn that Michael has been cheating and that the someone else is Robyn Paige. The storyline reminds me of Britney Spears' "Perfume", although both visuals are totally different in their own right. Overall, it's a great concept, with Robyn Paige giving some fire acting skills. The song is intricately beautiful, and has a relatable accompanying music video that easily engages the audience throughout.